Beckie lives in Raleigh and has been involved with TBR since 2005 when she adopted by first beagle, Eldon. 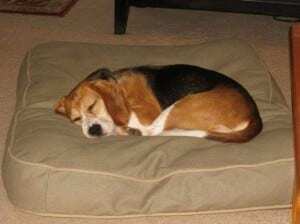 She started fostering in 2010 and has lost count of the number of beagles the she has fostered. Beckie said: “My first foster was a doozy. 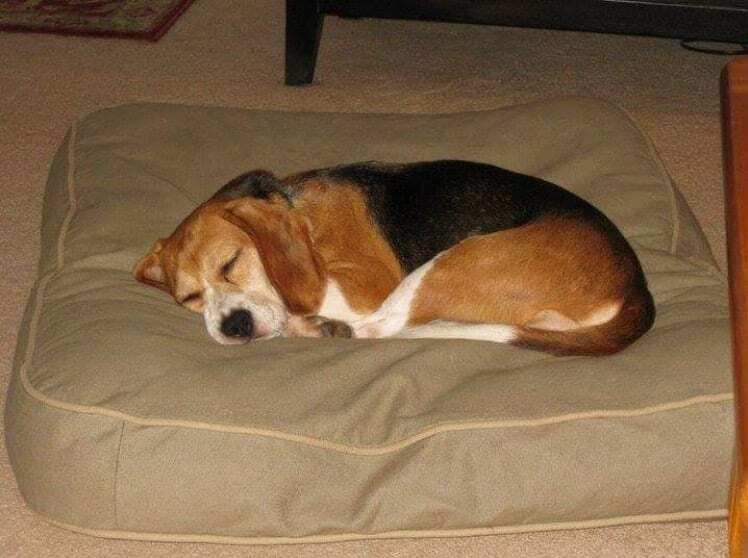 Her name was Stella and she came from a laboratory that was being shut down in Northeastern NC called Corapeake. She had never had a name—only a number. She had never been outside, never walked on grass, never walked up stairs, never seen a TV or ceiling fan and had never been shown any human affection. Stella was not housetrained or leash trained and she got sick riding in the car. Stella had so much learn and it was amazing watching her progress each and every day. Most foster beagles are not as challenging as Stella. They come from all different backgrounds and situations, but there is one thing they all have in common and that is a sense of gratitude that they are safe and on their way to a better life. Beckie, thank you for your commitment and dedication to helping so many beagles! !